In this video I talk about four things you’ll want to think about if you want to be doing more architectural and commercial photography. And please, feel free to leave a comment down below or send me a message if you have any questions. 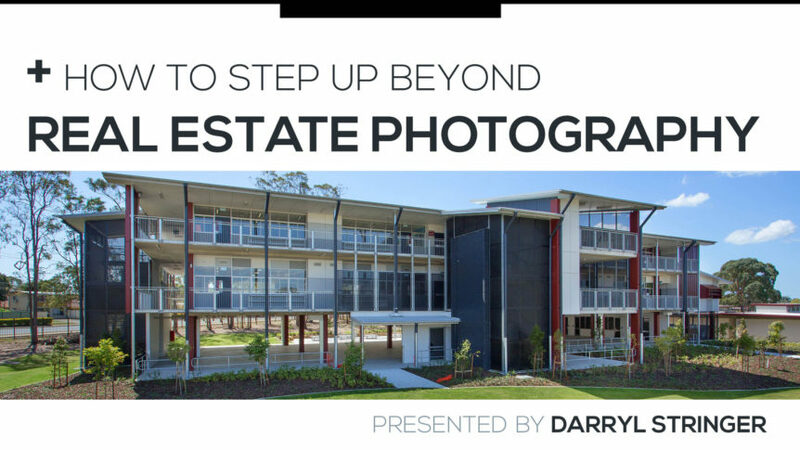 Have you been doing real estate photography, but now you want to step up and move beyond that to be working for more builders, architects, hotels, designers, and other companies? One is to have appropriate fees. Two, have a website that presents your brand the right way. Three, move in the right circles. And four, be a thought leader in your field. Let’s go through each of those in detail, and we’ll start with your fees. We’re going to assume here that you want to be working with the right kind of commercial clients, and not just be charging your real estate photography fees to small-time, small-thinking builders or landscapers or designers or whoever. If you’re happy working with small clients paying small fees then you don’t really need to do anything different to what you’re doing with your real estate clients in terms of your real estate photography fees. 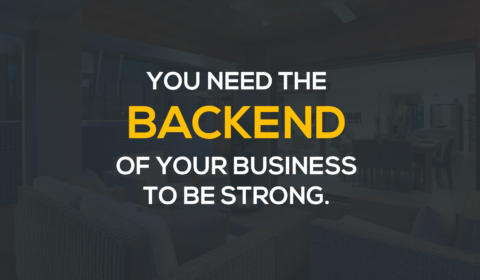 You can charge those businesses your real estate rates, and they’ll be happy … although you’ll be selling yourself short. But if you want to step up to higher quality work then you need a fee structure that the right kind of clients, your dream clients, won’t laugh at because they are far too low. And if you bring in that higher fee structure then you need to present a high value proposition. That means that you need to show your potential client that they will get more value from using your images, even if they are paying $1500 or $4000 or whatever. A lot of that comes down to communication and presentation. For example, I work with photographers to help them with this, and one of the tools I give them is an advanced quote document for sending to those bigger clients. What this quote does is it immediately positions that photographer as a serious player who brings enormous value to the businesses they work with. But beyond your fees, you’ve got to have the whole package as a premium service. For example, when we look at the wine market you can buy $4 wine or $300 wine, and a lot of people can’t tell the difference when tasting them. But what we find is that the whole package contributes to the price those expensive wine makers can charge, including the bottle, the labelling, the name of the wine maker, and the position that wine maker has within their market. That’s the kind of thing you need to be working on, because a high price alone will not have clients assume you can give them what they need. Your whole package should reflect that level of sophistication. One of the most obvious examples of the brand you are presenting is your website, and it has to look amazing. Your website has to look professional, it has to be easy to navigate, and it has to have lots of engaging, relevant content. I’ve advised a lot of photographers on the changes they need to make to their website, and one thing that keeps coming up over and over again is that photographers try and do their website themselves, and they often don’t do a good job. That has a negative impact on their chances of getting the really good clients that they want, perhaps more than a lot of them realize. You see, the design of your website says a lot about how professional you are, so make sure the message that visitors get from visiting your website is one you want to be sharing. What else can we say about your website? In terms of the portfolio on your website it’s got to show what you do with a diverse range of your very best images – and let me emphasise how important that is. You don’t get those big jobs just by showing a photo of a hotel room – you get those jobs by showing an amazing photo of a hotel room. So be a little tougher when choosing which images to include in your online portfolio, and don’t include images that are not your best work, simply because you want to show something you did 4 years ago just because it’s the only photo of a hotel room you have. That’s damaging your reputation, not helping it. Of course, the next thing you need to do is actually mention on your site the type of photography you do. So if your website is all about real estate photography, and if the name of your business is all about real estate photography, then you’re only going to get cheap builders and cheap designers calling you – you’re not going to get the quote requests from the companies you really want to be working with when your website is entirely focused on real estate clients. How many of your dream clients currently know who you are? This is where a lot of photographers go wrong – they don’t engage with the right people, and they don’t introduce themselves, in the right way, to the right people. How are you going to get those dream clients if they don’t even know you? You need to be introducing yourself to your dream clients. So you don’t just have to wait for them to call you – you can call them or approach them, and you don’t even need to be salesy and pushy. Reaching out to dream clients can be pretty scary, and a lot of photographers try once or twice and then give up if it doesn’t work. If it didn’t work it’s probably because they didn’t present themselves the right way and in the right context. There are things you can do that can come across in a negative way, but you’ll want to carefully choreograph the whole process so that even if that client chooses not to work with you, they will still have a very positive impression of you. A lot of photographers don’t do this because it takes a lot of work to do it right, and they’d rather just take photos and not invest time and money into having a really good marketing platform for their business. So moving on, and the fourth and final thing you need to do if you want to be working with bigger commercial clients is to establish your reputation as an expert and leader in your marketplace so that you’re not just another apple in the box, but rather you’re someone that businesses in your area really want to be working with. Now a term that is thrown around a lot these days is being a ‘thought leader’, so what would it look like for you to be that thought leader in your market? What would you need to do? Where would you need to be? It’s going to be a little different in each marketplace, but think about what you could do, not to become globally famous, but to become famous within your niche in the area you work in. 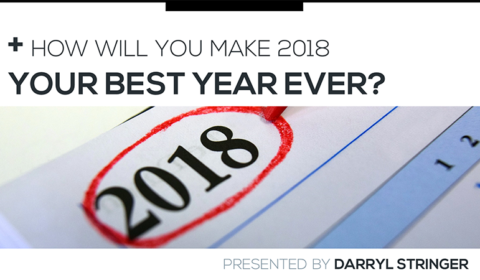 Maybe you need to be writing content for your blog, or providing resources to your prospects and clients that helps them, or maybe you need to give presentations or do videos or write a monthly newsletter. The point is to find something you can do, and do it consistently. Is that where you’d like to be? … and that’s going to help you right across your business, so get in touch if you’d like to find out what I can do to help you. 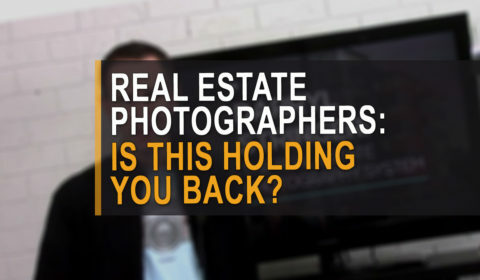 Click here for details about my coaching program for real estate photographers who want to step up to the next level. Note: this coaching program also works very well for photographers who are just getting started in real estate photography, so we have resources for all levels. Visit Real Estate Photography System on Facebook.